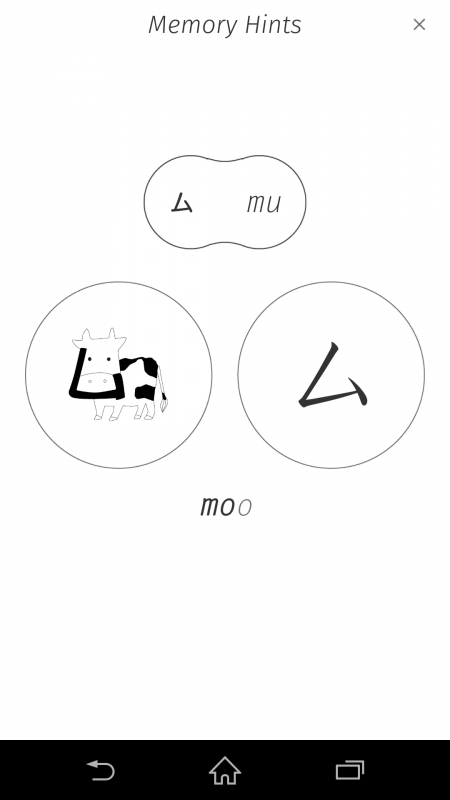 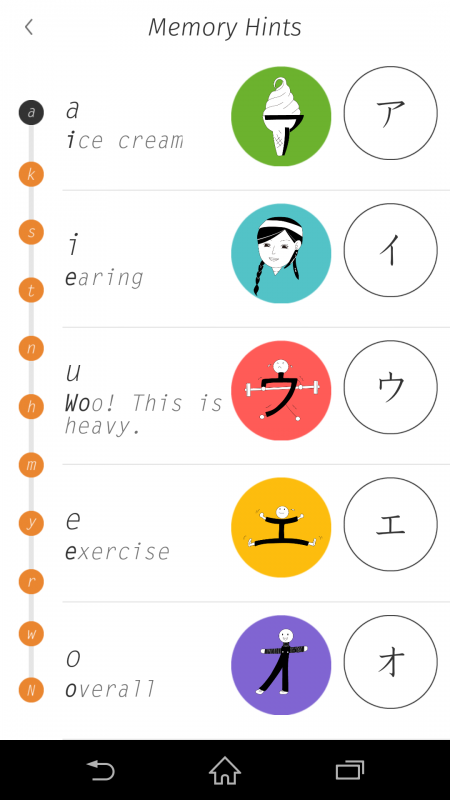 Study katakana the fun way using mnemonic pictures! 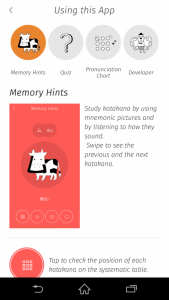 You can study katakana by using mnemonic pictures and listening to how they sound. You can test your knowledge with four types of quizzes. You can listen to how each katakana is pronounced using the Katakana Table. 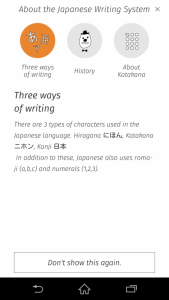 You can read explanations about the Japanese writing system and katakana. 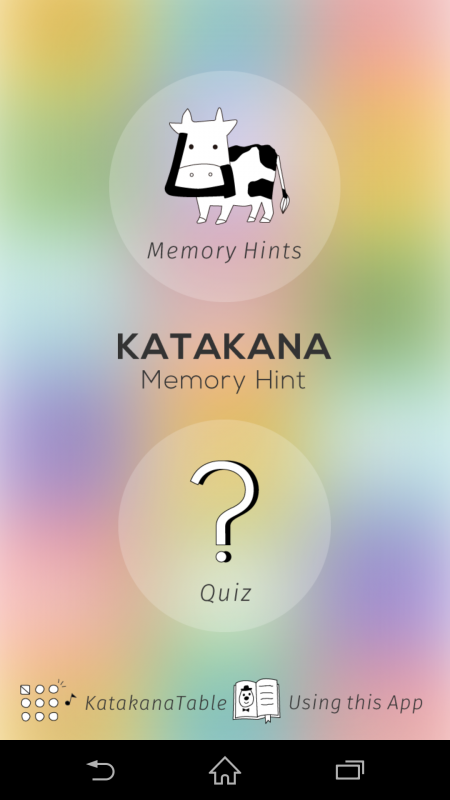 There are two main contents: "Memory Hints" (mnemonic pictures) and "Quiz." 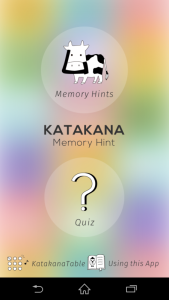 This is the first screen for "Memory Hints." 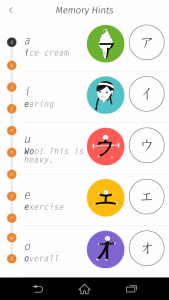 One by One: You can see pictures and animations for each of the 46 katakana, starting from ア (a). 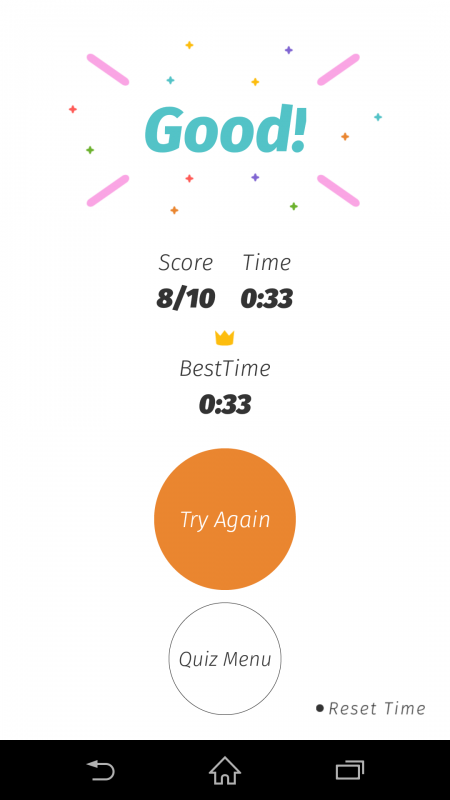 Tap the play button to see a simple animation. 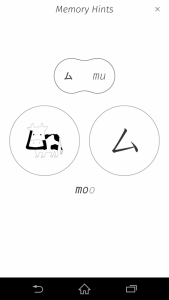 You can see how the picture changes to form a katakana character. 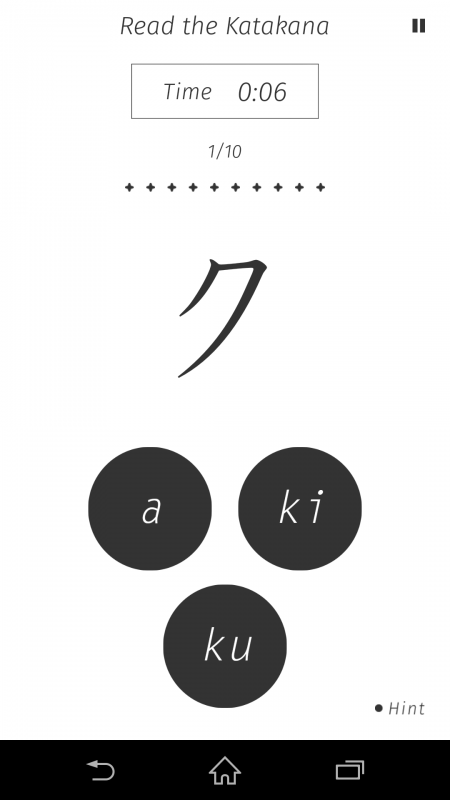 Tap the icon on the right of the screen to see the picture and the katakana side by side. 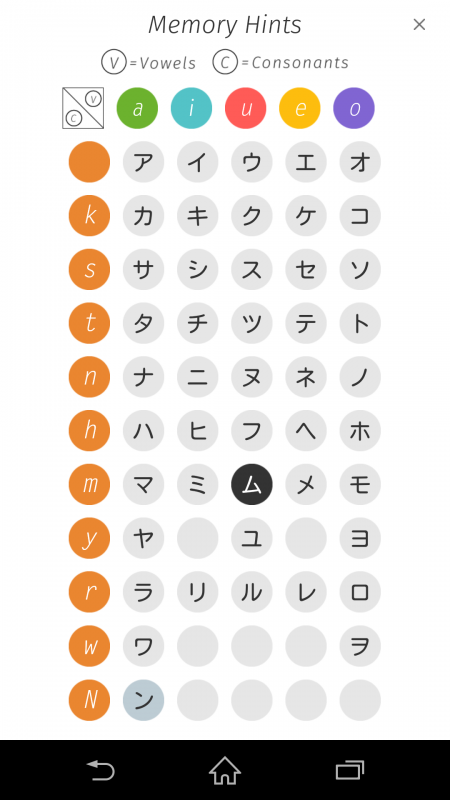 Tap the icon on the left of the screen to see where the katakana you are looking at is situated in the Katakana Table. 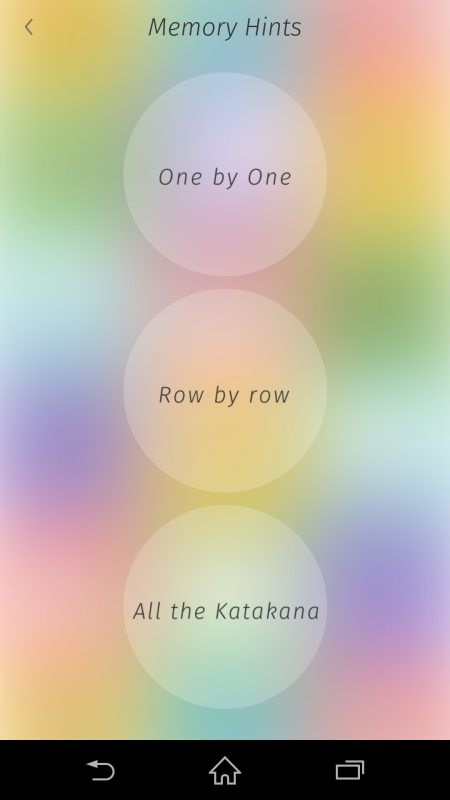 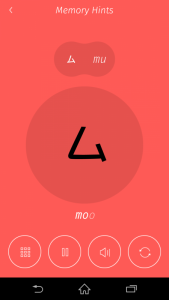 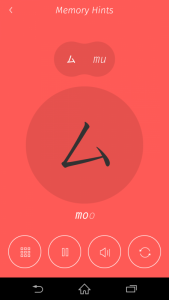 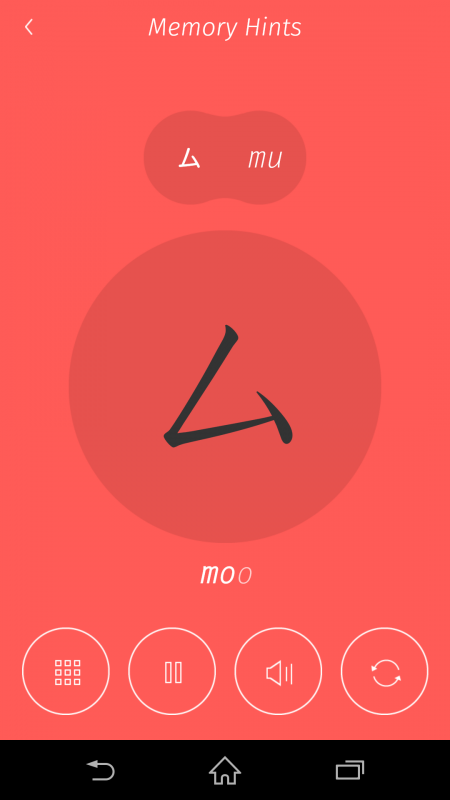 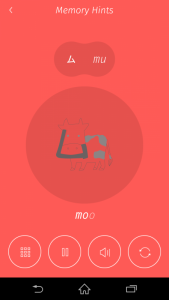 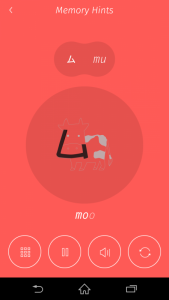 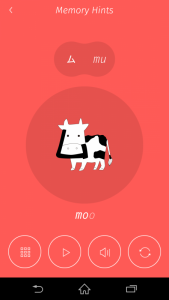 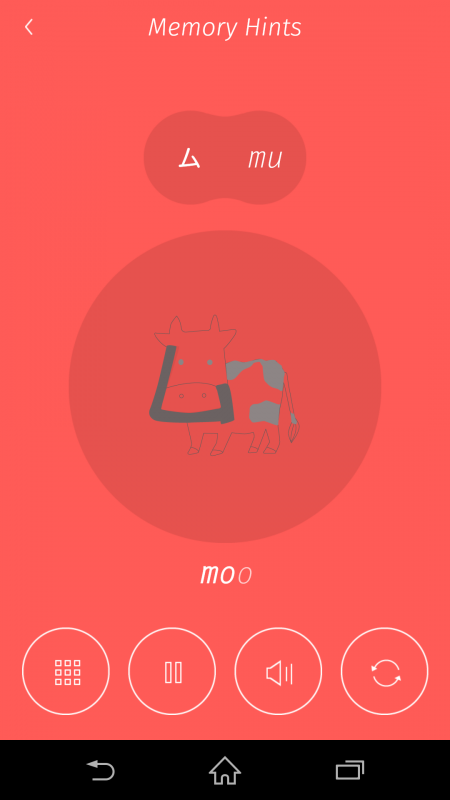 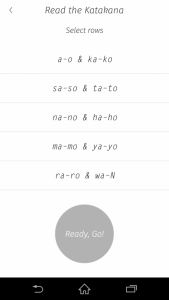 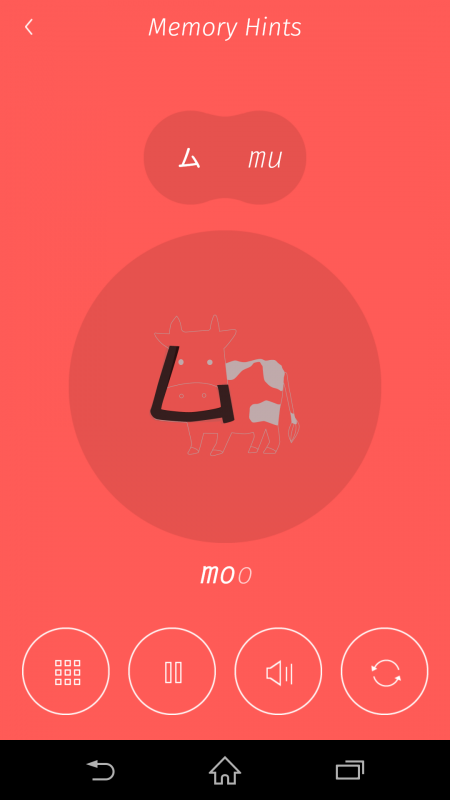 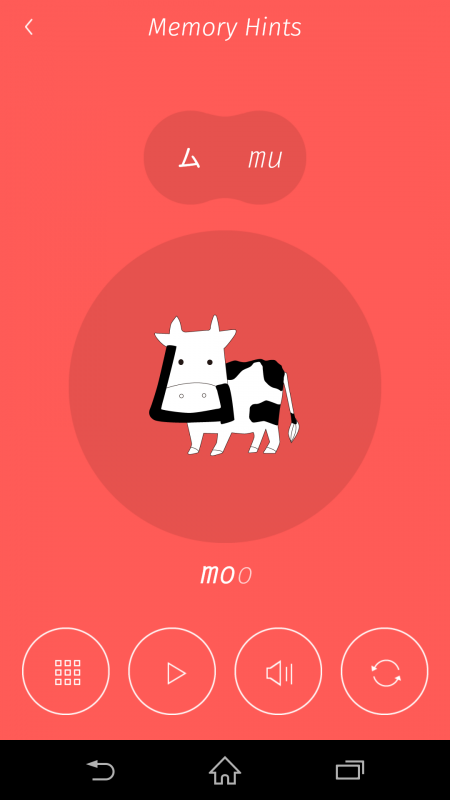 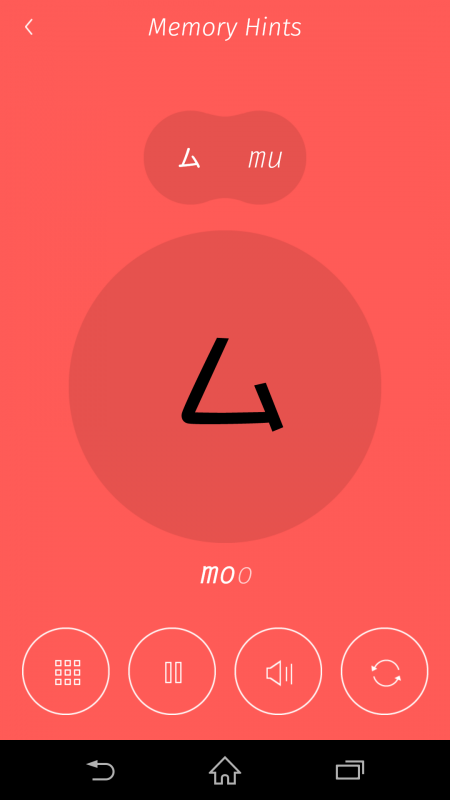 Row by row: You can view the katakana and the relevant animations by row. 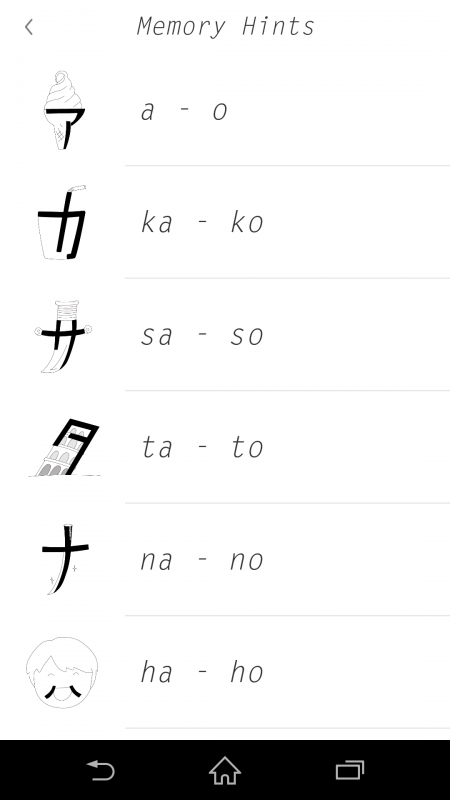 This is very useful in cases such as, for example, when you have studied up to the サ (sa) row yesterday and want to start from the タ (ta) row today. 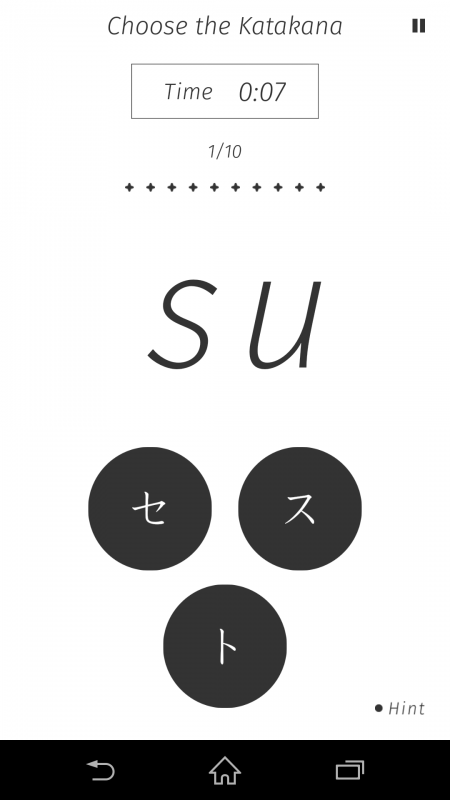 When you get to the last katakana in each row the screen below will appear. 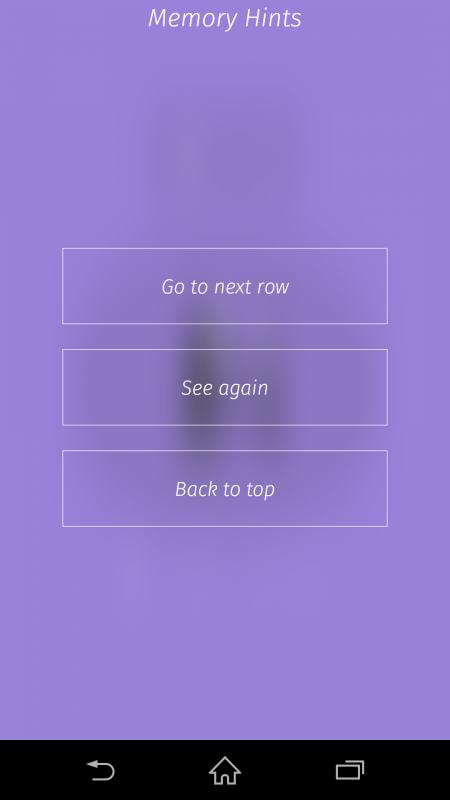 You can choose to do one of the following: go to the next row ("Go to next row"), see the same row again ("See again"), or go back to the Memory Hints menu ("Back to top"). 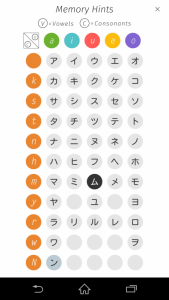 All the Katakana: You can see all the katakana as a list. This is useful as a summary because you can see all of the pictures and katakana shown side by side. This is the first screen of the "Quiz" section. 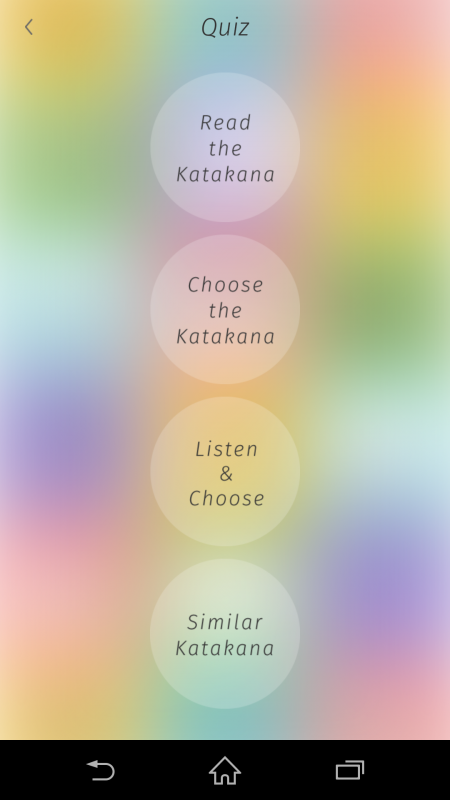 There are four types of quizzes in all. You can select the rows you want to try. 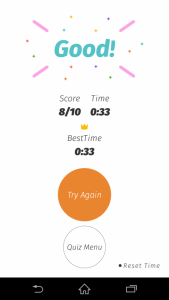 The time it takes you to complete the quizzes is recorded so you can try to beat your previous best time. You can reset the record any time. There are simple explanations about katakana for learners who are completely new to katakana and Japanese. 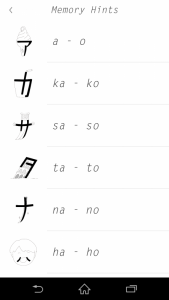 It's not easy to remember all 46 of the katakana characters. 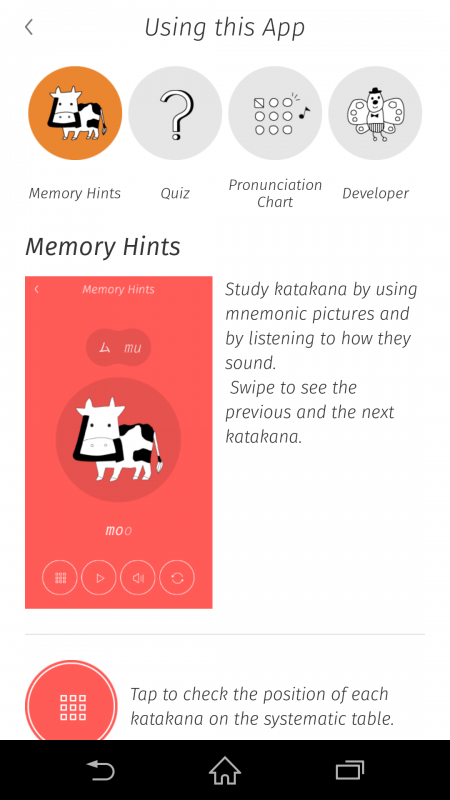 We hope you will enjoy familiarizing yourself with the Japanese language by learning katakana using mnemonic pictures!